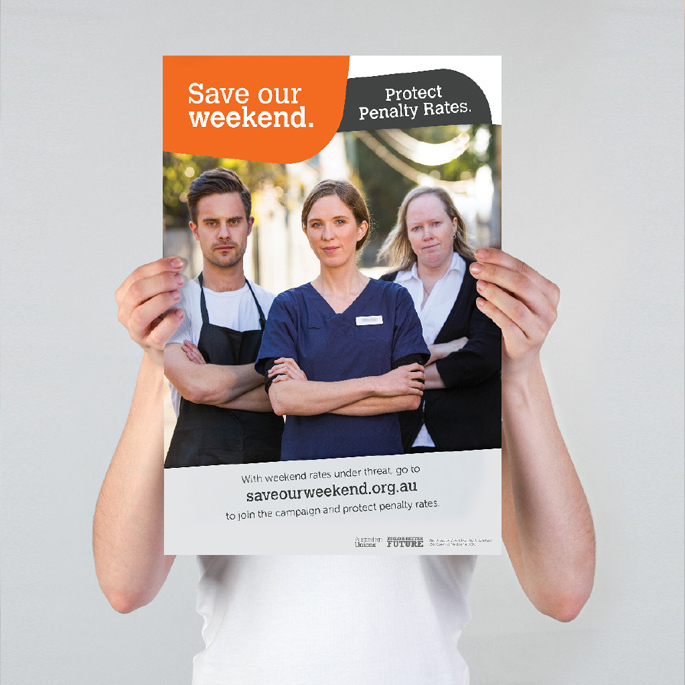 A coalition of unions joined forces to defend the great Aussie weekend. The one problem? 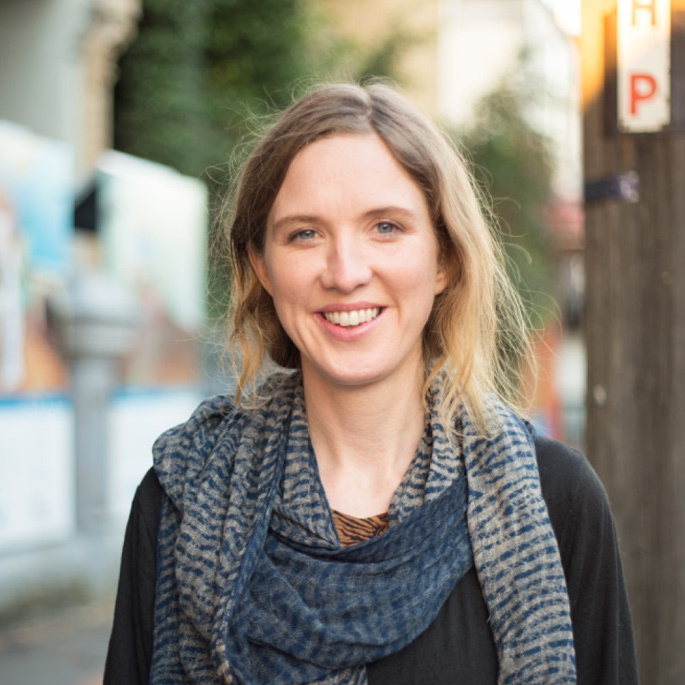 They needed a strong campaign brand and digital infrastructure which would cut through in the community. 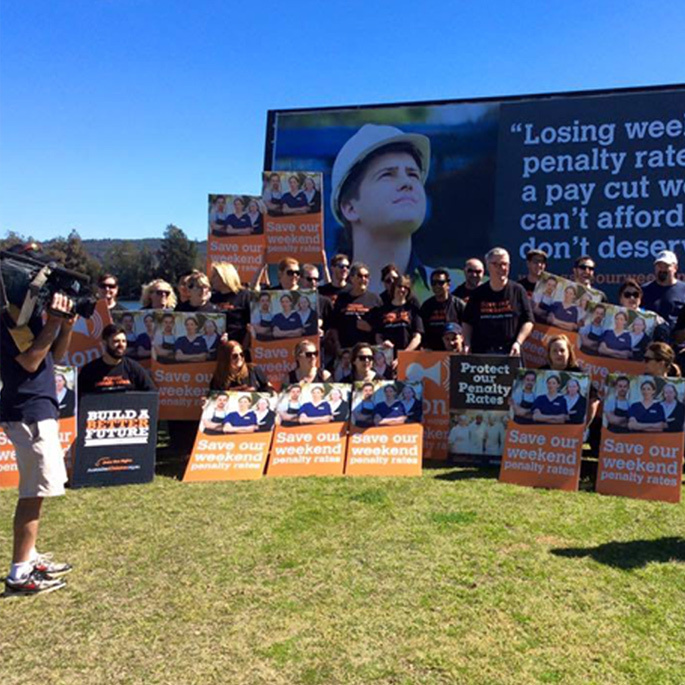 We stood up for those who work unsociable hours and helped build a powerful campaign to protect penalty rates. 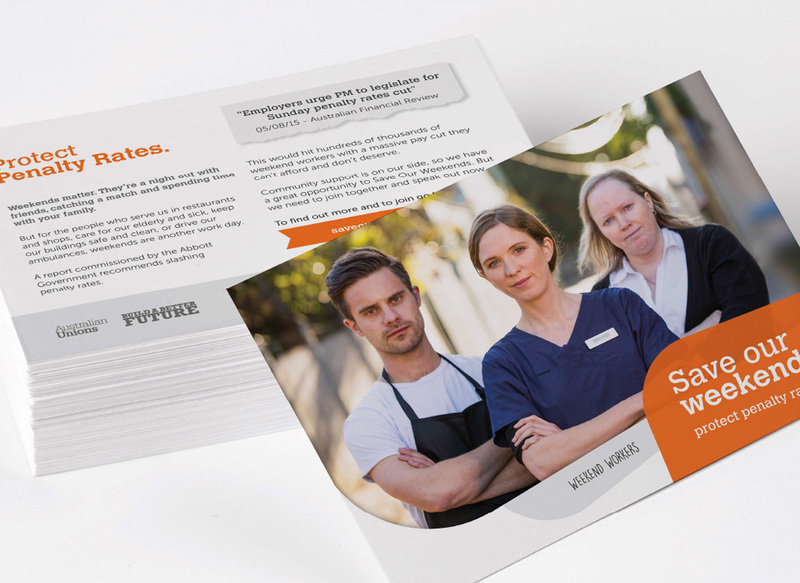 We created a diverse and flexible visual style with clear guidelines – meaning the people campaigning in the community always stand out and speak with one clear voice. Beyond a strong visual communication plan and material, it was important to build a powerful communication and technology foundation for the campaign. 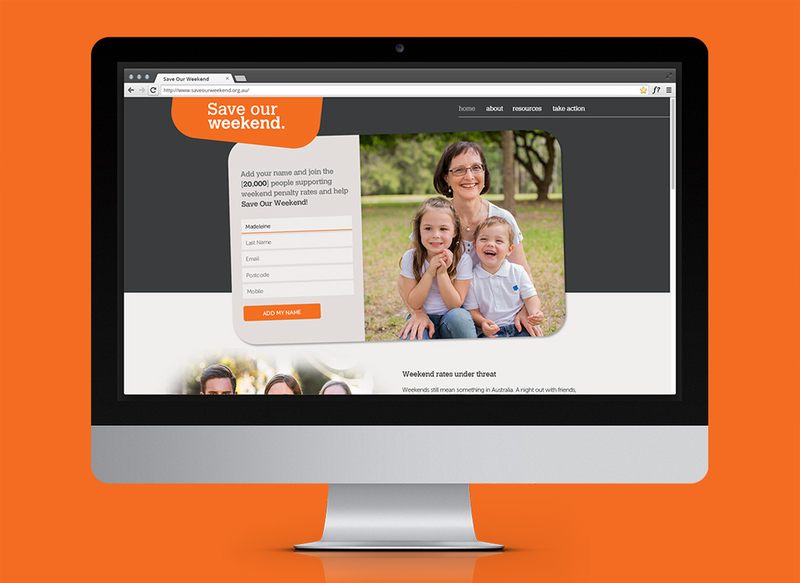 We implemented a system which manages the complex flow of data, donations and content needed for the campaign to succeed.